My time is Auckland is almost over and I am just about to leave to travel all the way across New Zealand to Wanaka, my new home for the next couple of months. 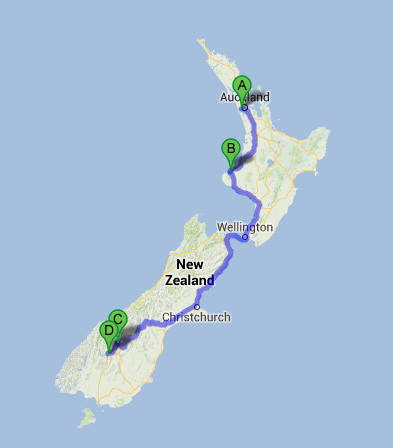 I had planned to fly down but lucky as I am I sorted a car that needs to be transferred from Auckland to Queenstown (which is just a mountain range further south from Wanaka). There’s also a couple of people I want to see as I travel south so I’ll stop in New Plymouth, Wellington and Christchurch before I get into my new home. I’ll try to keep you posted during my travels and also show you a picture of my new ride!